Samplesource has a new VIP Member Offer today! 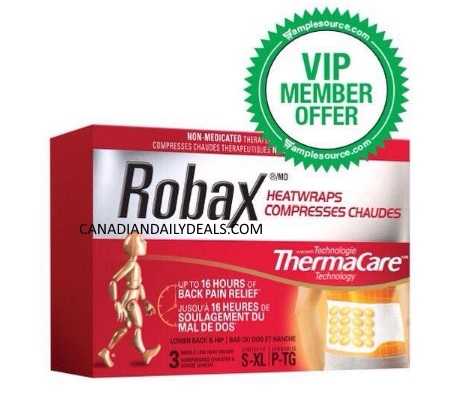 Get a Free Sample of Robax Heat Wraps! Please check your emails to see if you were chosen for this offer. There is no generic link for everyone to sign up, you must go through the one in your email if you were selected. VIP offers are sent to members who have taken the time to provide ratings and reviews. Were you chosen for this one? Please let us know on our Facebook Page.